In the medical field semi permanent make-up is a complex procedure. Diahann can attain exact skin tones that mimic what is missing or needs camouflaging. Diahann is able to create a colour match of the patient's original or remaining areola after breast reconstruction. The effect created is 3 dimensional and very realistic. 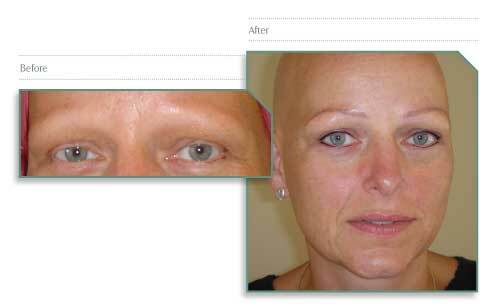 This natural appearance helps re establish the patient's confidence, self esteem and subsequently their well being. Diahann can provide the perfect solution to all kinds of surgery to disguise scars as a result of some breast augmentation, reduction and uplift procedures.